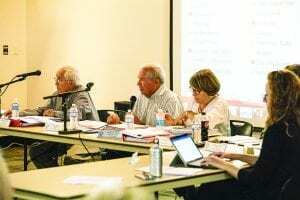 The Escondido Library Board of Trustees Wednesday voted unanimously to oppose privatization of the facility. 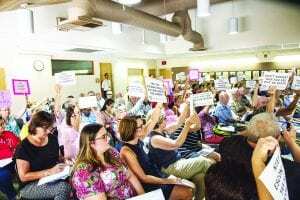 Normally a lightly attended event, the board of trustees meeting was a full house, which the Save Our Library Coalition estimated was more than 150. Many had signs with messages such as “Libraries are sacred,” and “Don’t Export our Tax $$$ Out of State.” Organizers eventually ran out of badges. The meeting opened with the board reading from their charter, explaining their responsibilities are. Essentially, they make recommendations. The city council makes the decisions. Speakers had a common theme: if the library is privatized, it will decay until it is only a hangout for the homeless. Citing concerns about loss of transparency, accountability, volunteer support, and community cohesion, speakers urged trustees to recommend against outsourcing. Some speakers said they didn’t trust the council majority because of its closing several years ago of the East Valley Branch. This remains an open wound for some. 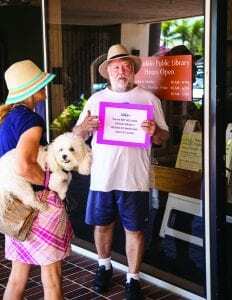 “If they do this to our current library, why on earth would we support a bond measure for a new library?” said Laura Hunter, organizer of Escondido Indivisible and a Coalition member. Members of the Library Foundation, who unanimously voted to oppose privatization. Noting that volunteers play a large part in supporting the library, several speakers said the council might lose hundreds of thousands of dollars if privatization occurs. The city staff’s analysis has said the city could realize a gain of $400,000 a year by contracting with Library Systems and Services (LS&S.) But these speakers said that volunteers would be inclined to abandon a corporate-run facility. Library volunteer Virginia Abushanab described how “The Shop,” run by volunteers, generates $75,000 annually, which augments the library’s budget. “I find it galling that LS&S has indicated, as written in their budget proposal, that they expect us volunteers to continue to give them the same financial support as we do our beloved public institution,” she said. She quoted other volunteers as saying they wouldn’t likely support a private library. The Coalition claims to have collected more than 1,500 signatures on a petition against privatization. Other speakers include former Escondido Library directors Laura Mitchell and Loretta McKinney. 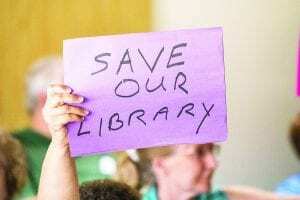 Mitchell read a letter opposing the outsourcing from the American Library Association President James Neal and Public Library Association Pam Smith. The city is seeking ways of making up about $20 million that it expects it will have to raise over the next four years due to increases in CalPERS premiums. The Coalition’s main presenter was Whitney McCoy, who spoke on research she conducted on our library, privatization, and LS&S. “This matters because privatizing a public library is a red flag for a local government that is derelict in its duties to its citizenry. Contracting with LS&S will remove our taxpayer money from the local community and put it in the hands of a private, for-profit, equity firm-controlled company with no obligation for transparency and no incentive for responding to our needs,” McCoy said. The only council member attending the meeting was Olga Diaz, who told the group that she had not signed the city’s response to the recent Grand Jury report that criticized the city for underserving its library population. Most of the demonstrators had signs to make their points. Board of Trustees Chairman Ron Guiles said he was concerned about building support for a new library. 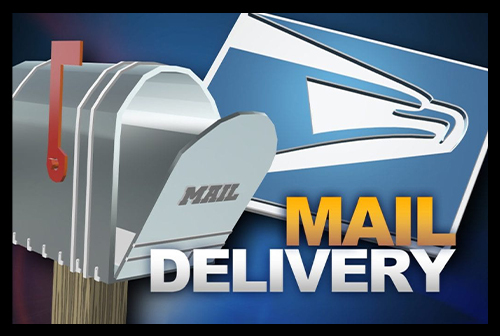 “We need a new library and we cannot pass a bond if we have any organized opposition in the community.” He said the overwhelming number of letters and emails received on the subject have opposed outsourcing. If you want to be added to the Save the Escondido Library Coalition, email Liz White at liz_white@me.com to be added to the Save the Escondido Library Coalition information list. Or visit the Escondido Indivisible website.